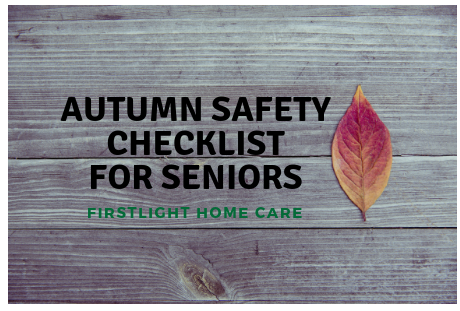 This autumn safety checklist can help you prepare your aging senior for the season. The weather is getting cooler, the days shorter and the air crisper. 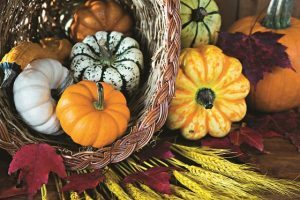 As we adjust to this “season of change,” it’s a perfect time to consider the safety, health and wellness of older adults who are aging in place. And planning for the change in seasons is particularly important for older adults who are living alone. 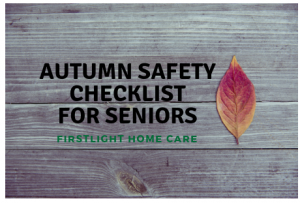 Read this autumn safety checklist to help you and your loved one prepare. Before you turn up the heat, schedule regular maintenance for the home’s heating system to confirm it’s in good working order. If your loved one’s home includes a fireplace, be sure to also have chimneys inspected and cleaned to prevent dangers such as flue fires. Conduct a home safety check. There are many things you can do to make your loved one’s home safer so that they may age in place. Some are simple things, and some may include slight home modifications. Pick up items on the floor that your loved one could trip over, including unnecessary clutter. Consider moving anything that is plugged in to a different area of the home if cords become a tripping hazard. Add secure railings to both sides of stairs, inside and out. Make sure there is enough light on the interior and exterior of the home by adding additional lighting or brighter bulbs. Add grab bars inside and outside the tub or shower, as well as next to the toilet. Also consider adding a shower chair or hand-held shower. Clean up the leaves. While colorful leaves are part of the beauty of autumn in many regions, they can present a safety hazard. When wet, they can become slippery and pose a fall risk. And piles of leaves can hide potentially dangerous obstacles. Be sure to remove them regularly from porches, sidewalks and key walkways for older adults. Prepare for ice and snow. In cooler regions, it’s not unusual to get a preview of the cold, snowy winter weather during the autumn months. So, have shovels and salt handy in the event of an early storm. If your parent or grandparent is still driving, make sure their car is in good working condition, including keeping fluids topped off, scheduling necessary maintenance, making sure tires have plenty of air, and ensuring the headlights and taillights are working properly. Have those layers on hand. Be sure to have sweaters and jackets at the ready. Layering is the name of the game throughout autumn. Be mindful of footwear, as well. Non-skid boots and shoes with plenty of traction can help prevent slips and falls in wet or frosty weather. Discuss driving at night. Daylight Saving Time ends on the first Sunday in November, which is November 4th this year. This means it will start to get dark earlier. Driving after dark also means reduced visibility. Make sure your loved one is comfortable with driving at night. If they are not, make sure they get to where they need to be before the sun goes down. Get a flu shot. The frequency and severity of sicknesses escalate as the year ends. The flu vaccine is especially important for older adults who are more susceptible to catching the flu virus. Be diligent with everyday healthy habits. Hand washing is one of the most effective ways to prevent the spread of fall illnesses. The Centers for Disease Control recommends washing hands with soap and clean, running water for 20 seconds. Wet, lather, scrub, rinse and dry. Older adults can also help boost immunity through good hydration and by getting plenty of sleep, which can both benefit the immune system during cold and flu season. Take advantage of the fall harvest. Many healthy and delicious fruits and vegetables are center stage this time of year. Adding seasonal produce such as beets, broccoli, Brussels sprouts, sweet potato, pumpkin, apples, cranberries, eggplant and kale can help manage diabetes, contribute to heart health and promote a healthy immune system. We hope the fall season sticks around for a while, but we know that winter will be here before we know it. In addition to this autumn safety checklist, check out these tips for helping seniors stay safe this winter. If you’d like to receive articles and information like this every week, subscribe to our weekly Home Care News.